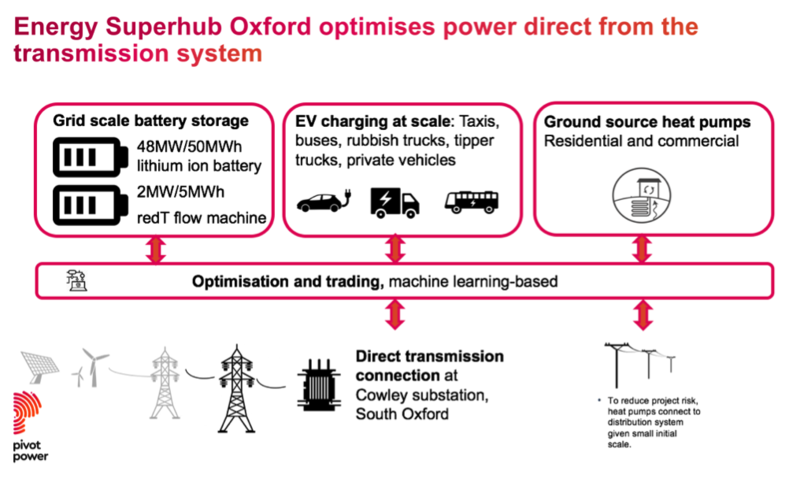 April 4, 2019: A project to decarbonize the UK city of Oxford will see energy management firm Pivot Power install a 50MW hybrid lithium ion/vanadium redox flow battery coupled with smart energy management, the company announced on April 3. The £41 million ($54 million) project by the Energy Superhub Oxford consortium will combine energy storage with electric vehicle charging stations. The project should be completed by 2020. The hybrid system, a combination of a 48MW lithium ion battery and a 2MW/5MWh vanadium redox flow battery from UK firm RedT, will be the world’s biggest energy storage system of its type when installed. RedT said: “Lithium is well-suited to delivering short power bursts but it degrades with heavy use. Projects can get best return on investment by using flow as the workhorse supplying routine power demand and extending the life of lithium batteries by saving them for power spikes. 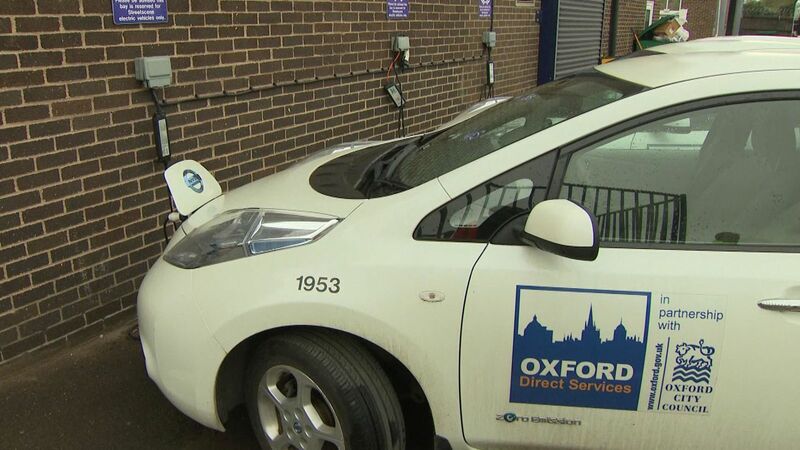 The project includes a network of 100 power transmission systems connected, ultra-rapid public charging stations, with others at Oxford council’s main vehicle depots and the city’s two main bus depots, providing the opportunity for their fleets to go electric. Habitat Energy will develop software to balance the grid second by second allowing the management of the energy storage and EV charging to reduce the strain on the grid and allow it to accommodate more renewably sourced energy. The optimization platform will also manage electric vehicles to provide additional flexibility to the electricity network. Oxford City Council aims to save 20,000 tonnes of CO2 per year by 2021, rising to 44,000 tonnes annually by 2032 through the project. The University of Oxford, with energy research consortium EnergyREV and the Energy Systems Catapult “Energy Revolution Integration Service” will study the project to produce recommendations supporting the rollout of similar initiatives. RedT says it has already demonstrated the benefits of hybrid, behind the meter ESS at Monash University, Melbourne, Australia. Its 1MWh hybrid system combined a flow battery with a lithium ion one to integrate the university’s building management systems, electric vehicle charging stations and energy sharing and trading mechanisms. 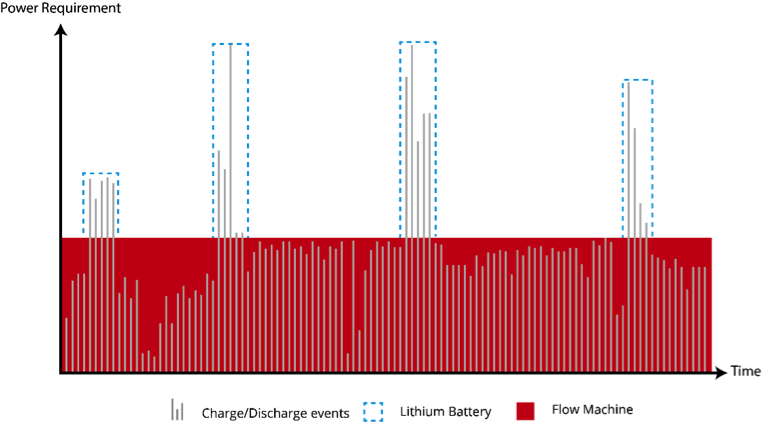 Pic1: Diagram illustrates flow battery supplying routine power demand with lithium meeting demand spikes.